Disposable polystyrene Petri Dishes that offer both optical clarity and strength at an economical price. 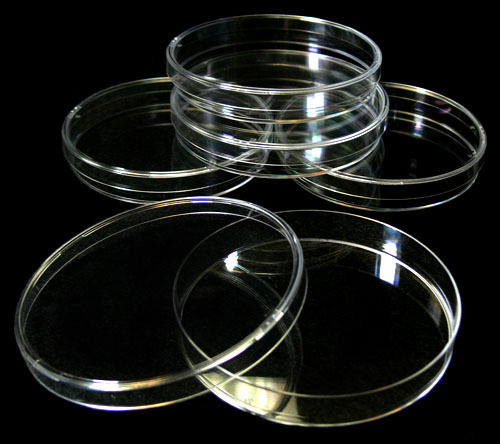 Standard size Petri Dishes 90 mm (3.5") in diameter x 15 mm (5/8") high. The dishes are sterilized and great for growing cultures or similar lab work. Dish holds approximately 55 ml in volume. Complete with matching cover. Package of 5 Petri Dishes.